motion, pursuant to Article 171,Paragraph 2 , of the Constitution of the Co-operative Republic of Guyana. presented to the National Assembly, since our country gained Independence. Not only is this is a signal achievement, for which all of us should be justifiably proud, but it is also a testament to our stated resolve to return budgeting to its deserved place within the accountability and governance framework, so that it can best serve its critical functions of economic management; financial management; management of government; and effective implementation of government’s policies. In recognition of the importance of timely budget presentation and passage to the delivery of government’s projects and programmes and, with due regard to public confidence and support which this will engender, the Government is considering a fixed date for the delivery of future budgets. Mr. Speaker, the year 2016 will be remembered, also, as the year when we celebrated the 50th Anniversary of our Independence. From near and afar, Guyanese as well as foreign dignitaries and visitors came to celebrate our achievements. True, there were a few glitches, but these failed to depreciate the significance of the occasion or dampen the spirit and enthusiasm of our people. From the hoisting of an imposing national flag on the eve of May 26,to the pageantry of the Float Parade,to the other activities and events that were held, the significance of what it means to be Guyanese was truly on display. In true Guyanese style, the over 27,000 diaspora Guyanese reconnected, mixed, and mingled with their friends and families at home, their expressions of joy and patriotism heavily felt in their actions and spending. They sang, danced, drank, whooped, and otherwise participated in the celebrations. We thank them for their continued interest, contribution, and support to the development of their country. Indeed, we thank all those who contributed to making the 50th Anniversary of Independence a memorable one. We can only look forward with equal excitement to the celebration of the 50th Anniversary of the Republic, 0n February 23, 2020. Mr. Speaker, our Independence celebrations represented one of the few bright spots in our economy in 2016. The other that is worthy of note is the outstanding achievement of the mining sector, especially the record-breaking performance of gold production. These aside, the economy felt the drag of dismal output performances in sugar, rice, forestry ,and construction, including housing. While detailed analyses of these developments will be presented shortly, suffice it to say at this stage that, as explained by His Excellency President Granger, in a recent Public Interest programme, the current development model can no longer be pursued. Although he was speaking with specific reference to the Guyana Sugar Corporation (GuySuCo) , his incisive insight holds true for the entire economy. This dated model cannot deliver on our aspirations as a nation. 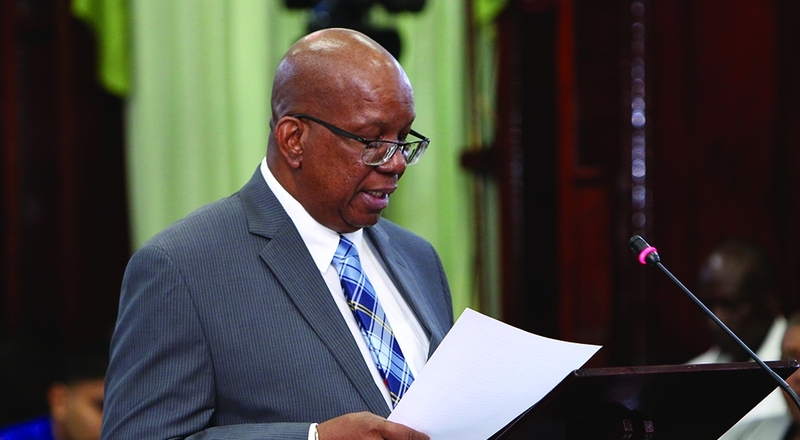 Mr. Speaker, we were reminded, again by His Excellency President Granger, during his address to the opening of this session of the Parliament, that this Government started its mandate with troubling economic and social indicators. We inherited an economy that was built essentially on the proverbial sand and running on the proverbial fumes. It is an economy which, in spite of positive growth performances, averaging 4.5 percent in the period 2010-2014, remains undiversified and incapable of withstanding even small shocks. It is hardly surprising, therefore, that we are reaping the whirlwind of downturns in these sectors. It will take more than just traditional policies and approaches to turn them around. What we need is a growth strategy that is broader in scope and more diversified in out look. Mr. Speaker, we have analysed the current domestic and global context in which we had to prepare this budget. There remains great uncertainty and adversity at the global level. The challenges are many. Indeed, the impact of external pressures cannot be underestimated. But we have resolved to pursue a growth strategy that breaks with the monotonous cycle of a few highs and perennial lows of prices of primary stage commodity production. We have to match the expectations of our people for a better life. But we would not be able to deliver if we stay the current course. To do so would allow the confluence of adversities and challenges to continue to constrain us from seizing the opportunity to chart a new direction. Mr. Speaker, the choice is clear. This is why we have chosen as the theme for Budget 2017, “Building a Diversified, Green Economy: Delivering the Good Life to All Guyanese”. In doing so, we will be employing a number of strategic approaches to achieve our objectives. These include: stabilizing the macroeconomic and public finances; preparing for oil and gas production; encouraging and supporting entrepreneurship, in particular those that involve new, green technologies and processes; creating more job opportunities; increasing the focus on innovation so as to increase domestic production and boost exports; moving towards a Smart Guyana that bridges the digital divide; reforming business facilitation and expanding economic horizons; building climate-resilient infrastructure for economic expansion and linking the coastland and hinterland; lifting the quality of life; addressing poverty; and reforming the public and financial sectors. In short, Budget 2017 is designed to consolidate the gains we have made since our accession to office, improve economic performance, and define a sustainable pathway to the happiness and prosperity of Guyana. Mr. Speaker, in crafting Budget 2017, we have had the benefit of oral and written advice and recommendations from a broad cross-section of persons and organisations, including trade unions and private sector bodies, women’s associations, and the Commission on the Elderly. We thank all of them for their contributions and their interests in seeing Guyana develop to its fullest potential.